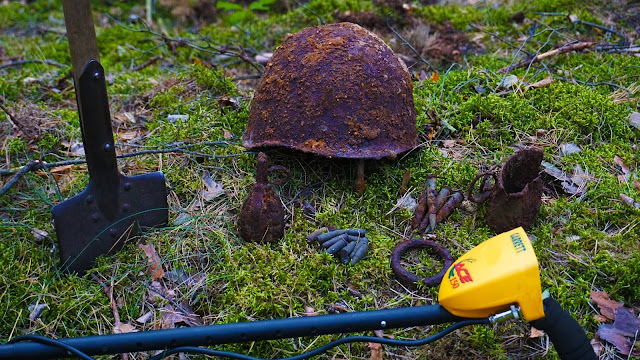 These metal detecting terms will have you speaking like a pro in no time. Every hobby has its own lingo and dirt fishing is no different. Whether you are browsing forums or run into another detectorist on the beach you will need to learn these terms if you want to join the conversation. 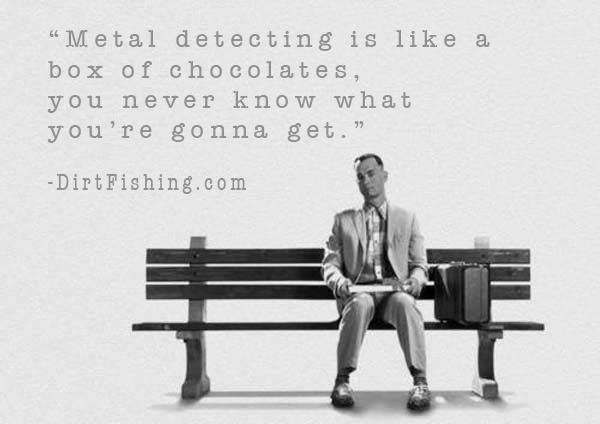 Dirt Fishing - Another name for metal detecting. "Are you ready to do some dirt fishing?" Can Slaw - A soda or beer can that has been shredded by a lawn mower and left for you to dig up. 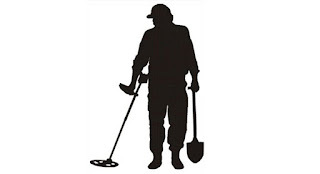 Chatter - The constant sounds a metal detector makes when used on high sensitivity or when searching in an area that has high levels of iron in the soil. Chatter can also occur when two detectorists are using their machines too close to each other. Plug - The chunk of soil you turn over when digging a signal. To cut a plug is to dig a hole. Cache - More than one coin or piece of jewelry that is in the same hole. A cache is deliberate meaning the items were left there together in a cluster often in a jar, coffee can or another container. Coin Shooting - Metal detecting for old coins. Permission - Private property that you have consent from the land owner to detect on. Sometimes used in its plural for permissions as in "I've lined up some sweet permissions for today"
Bucket List - A list of coins, relics or any other items an individual detectorist hopes to find in the span of their hobby career. Toasty - A coin that is highly corroded.